G2G Management Group, franchisee of Denny’s and Coco’s restaurants, is proud to give away free meals to all military this Sunday 5/29/2016 and Monday 5/30/2016 in honor of Memorial Day. Please find your closest location at g2gmg.com/locations. Thank you to all the brave men and women in the military. 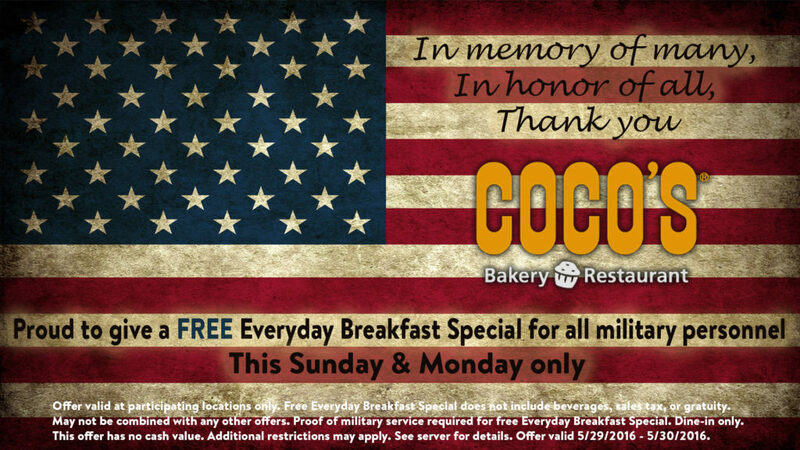 Coco’s will be providing the Everyday Breakfast Special for all military. 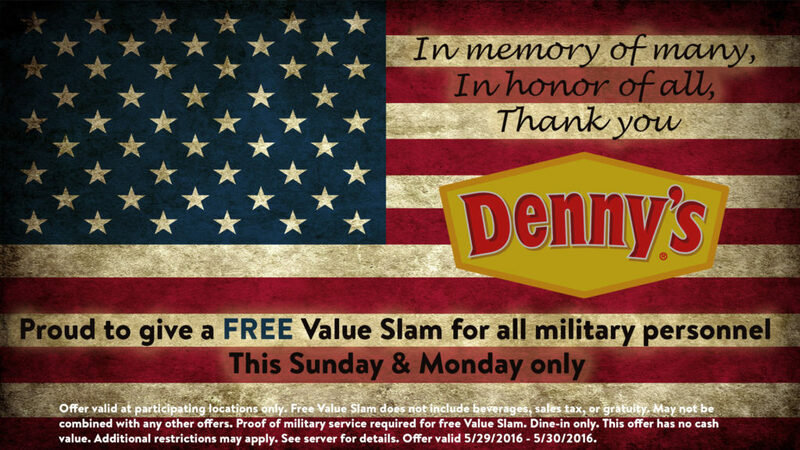 Denny’s will be providing a free Value Slam for all military.